Following a disappointing outing at London Scottish on Friday evening, Hartpury now need to pick themselves up for the visit of Doncaster Knights to the Gillman’s Ground, this Saturday (2.30pm). Home supporters will have happy memories of last season’s encounter with the South Yorkshire side, when a Harry Randall-inspired performance saw them not only claim a well-deserved win, with virtually the last play of the game, but also the 4-try bonus point. The fact that three of those tries came from the livewire scrum-half (pictured, from that game), now regularly featuring in the Premiership for Bristol Bears, is not lost on Head Coach, Mark Cornwell. “You’ve only got to look at what Harry’s doing now, at Ashton Gate, to see how much quality he offers to a team,” he said. Cornwell considers that, notwithstanding the loss of a player like Randall, the Championship has been much harder this time around. Given that scenario, Cornwell will know that his team cannot afford another performance like last week when, after a bright start, they quickly ran out of ideas and were left to try and chase the game in the second half. So how does Cornwell respond to the sort of run that Hartpury are in – an unusual situation after so many years of almost unbroken success? That 23-17 result was enough to put Doncaster ten points clear of Hartpury in the current standings. 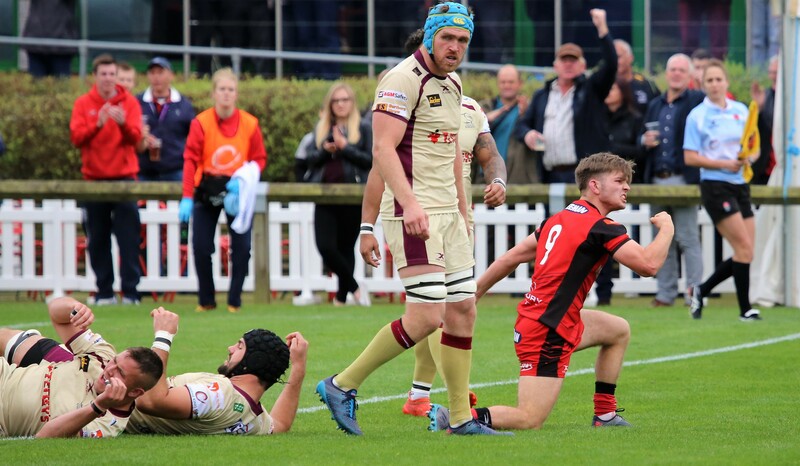 Between them sit Richmond and Yorkshire Carnegie – both on 16 points to Hartpury’s 11 – the latter reinvigorated by a winter ‘shopping spree’ in the southern hemisphere. However, Hartpury are well aware that two or three good results over the next few weeks could give them the momentum they have lacked since early season. The Hartpury squad will be announced on Friday, at noon.